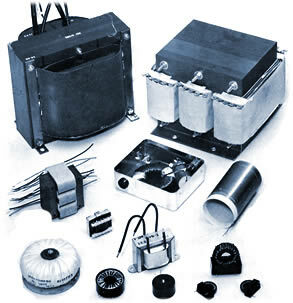 With over 65 years of combined custom magnetics experience, Berkshire Transformers stand alone in the industry in technical capability, engineering expertise and most important of all, customer service. Our goal of establishing long term business relationships and not simply taking purchase orders is reflected in the number of major accounts we have maintained for 25 years or more. Customers like Simplex Time Recorder, Harris Corporation, Branson, IBM, Technicon, Bendix, Digital Equipment Corporation, Perkin-Elmer, General Electric, Defense Electronic Supply Center and Stewart Warner Electronics and fall into this category. At the very heart of our business philosophy is the belief that our customer's success is our success. We have a tradition to be proud of so we deliver what we promise. We have always taken particular pride in our ability to meet the needs of our customers from a technical as well as from a service standpoint. It is precisely this interface between customers and us, as a supplier, which receives the highest priority. For our customers this means a factory trained sales staff who work directly with engineering and manufacturing to ensure the most effective solution to any magnetics problem. Providing customers with quick, concise information regarding quotations, new designs, or current work-in-process is the reason we are in business and we know it! This is part of our tradition. Quality is not an accident, it is the responsibility of every employee. Beginning in the early design stages, the quality of our finished product is our primary consideration -- not an afterthought. Our reputation for manufacturing high reliability products that meet exact specifications is closely guarded by our Quality Assurance Program. All incoming raw material and work-in-process is inspected to assure that manufactured products meet the quality and performance objectives established by contractual requirements and specifications. 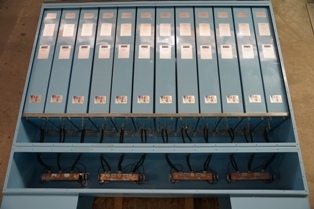 Prior to shipment, all units are tested 100% to verify our manufacturing sequence. Due to the fact that 30% of our business is military end-use, we maintain compliance with MIL-I-4208A. Additionally, all test equipment is calibrated in accordance with MIL-STD-45662. 1982 - Outstanding Vendor of the Year Award from Branson Sonic Power. 1983 - Supplier Quality Award from E.G. & G. for consistent high quality in product and service. 1984 - Vendor Recognition Award for Quality and Delivery from Digital Equipment Corporation. 1985 - Vendor Award from Simplex Time Recorder as the first magnetics supplier to successfully participate in the Simplex Direct to Stock Program greatly reducing their incoming inspection costs. 1987 - Outstanding Performance Award from Channelnet Corporation. 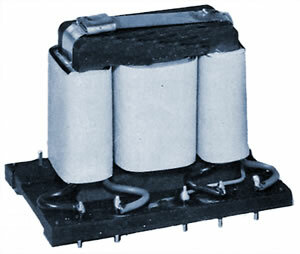 1987 - Successfully designed and manufactured the magnetics and power supplies used for the computer controlled wave lighting scheme on the Benjamin Franklin Bridge in Philadelphia. This project was completed on time with zero defects. 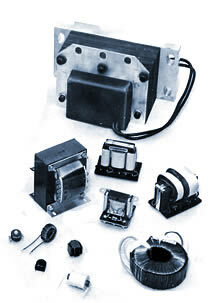 Berkshire has total capability for the design, development and manufacture of the following magnetic components. Power Range: Microwatts to 75 K.V.A. or higher. The above products can be designed, manufactured and tested to comply with U.L. (Class B, F, and H insulation systems on file), C.S.A., V.D.E., I.E.C. and Mil-T-27. As a major supplier of magnetic components for the medical instrument industry, we routinely design and manufacture products in compliance with the requirements of U.L. 544 as well as those of other regulatory agencies.